Can we just play pretend forever? Let's say that a meat lovers pizza is non-fat with only 50 calories. Diet Coke is not terrible for you. Candy and sweets doesn't give you cavities. Laying around all day in boxer briefs while watching Netflix, drinking pots of coffee, and eating bags upon bags of Goldfish in fact burns calories. And most importantly, far more important than any of the previous examples, gallons and gallons of ice cream is the healthiest food in the world. Clearly not a single one of these statements are true. It's a shame, isn't it? The older I get (okay, I realize that 28-years old is not that old, just go with it...), the more I realize that it is more important to enjoy life. To live in the moment. I cannot tell you how many times I hear people talking about the calories that they have eaten throughout the course of a day, or the number of miles that they had to run in order to burn off dinner from the night before. What about the amount of money that they pay for personal trainers to whip them into shape, all while analyzing and meticulously controlling ever single thing that they eat? It's kind of insane, isn't it? Here's some advice, live life in moderation. Work out. Treat yourself to a dish of kiwi lime sorbet. Go for a long walk along the beach. Treat yourself to a dish of kiwi lime sorbet. Get a promotion at work. 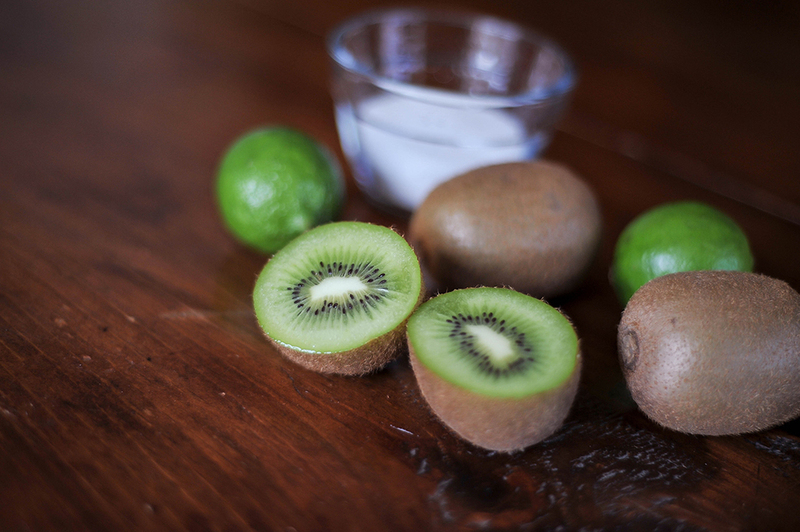 Treat yourself to a dish of kiwi lime sorbet. Complete a 5k. Treat yourself to a dish of kiwi lime sorbet. Finally ask out that special someone. Treat yourself to a dish of kiwi lime sorbet. 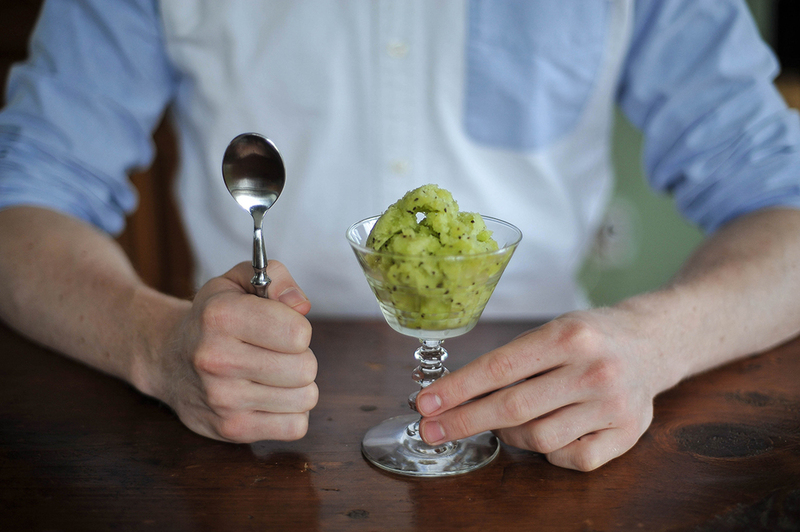 What it all boils down to is this: treat yourself to a dish of kiwi lime sorbet. Cut kiwis in half and remove skins (I used a large spoon to scoop them out). 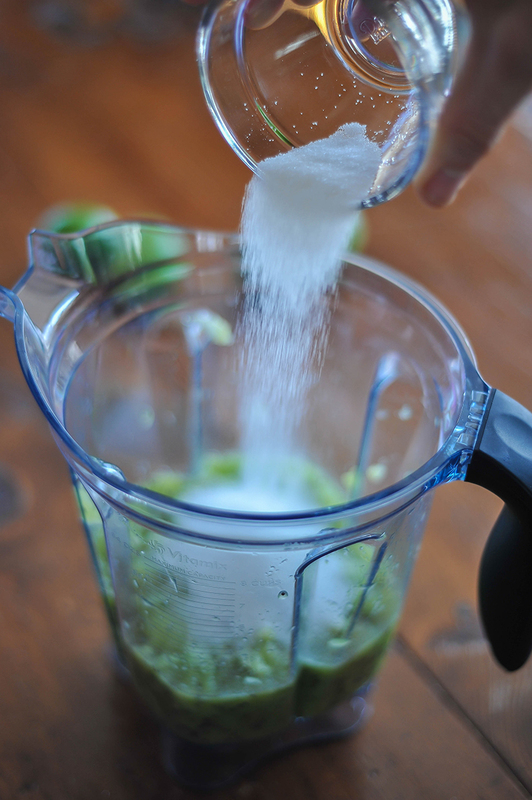 Place in blender and pulse 3-4 times; enough for everything to do a once around on the mixing blade. 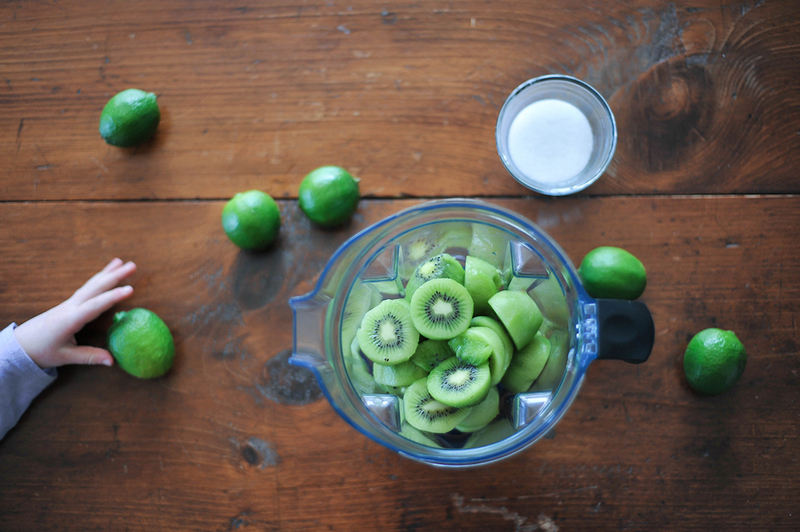 Pour in sugar and lime juice and pulse 6-8 more times, until the kiwis liquify and no chunks remain. Do not over mix, or you will break the kiwi seeds. Pour mixture into a plastic bag and seal, removing any air from inside the bag. Allow to chill in freezer for at least 45 minutes. Once chilled, churn your sorbet in an ice cream machine according to your manufacturer's instructions. Scoop into freezer-proof container and allow to chill for at least 4 more hours, preferably overnight.